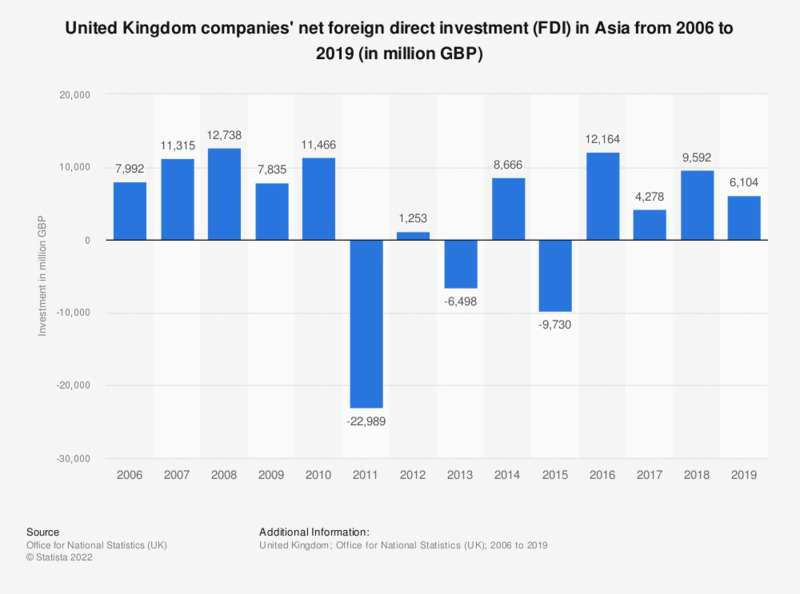 This statistic shows United Kingdom (UK) companies' net foreign direct investment (FDI) in Asia from 2006 to 2017. Net FDI peaked in 2008 at 12.7 billion British pounds. In 2011, 2013 and 2015, the UK experienced a disinvestment in Asia.